The Government is set to trial road designs that will be able to wirelessly charge electric cars while they are on the move. The Government is set to trial “electric highways” that will be able to charge electric cars while they are on the move. The trials, which are being run by Highways England, will see charging equipment fitted underneath roads, which can power electric cars using wireless technology. Ultimately, Government will look to roll out this technology on motorways and A-roads across the country, meaning that people in electric cars will be able to travel long distances without having to stop to charge batteries. Transport Minister Andrew Jones says Government is committing £500 million over the next five years to develop rechargeable low-emission vehicles, saying this aims “to keep Britain at the forefront of this technology”. The electric highway trials are set to start later this year and last for 18 months. They will be “off-road” trials that will attempt to replicate motorway conditions. Highways England says it is set to appoint a company to run the trials and provide the equipment. Concepts for smart highways have already been piloted in The Netherlands, in a project led by Dutch designer Daan Roosegaarde. 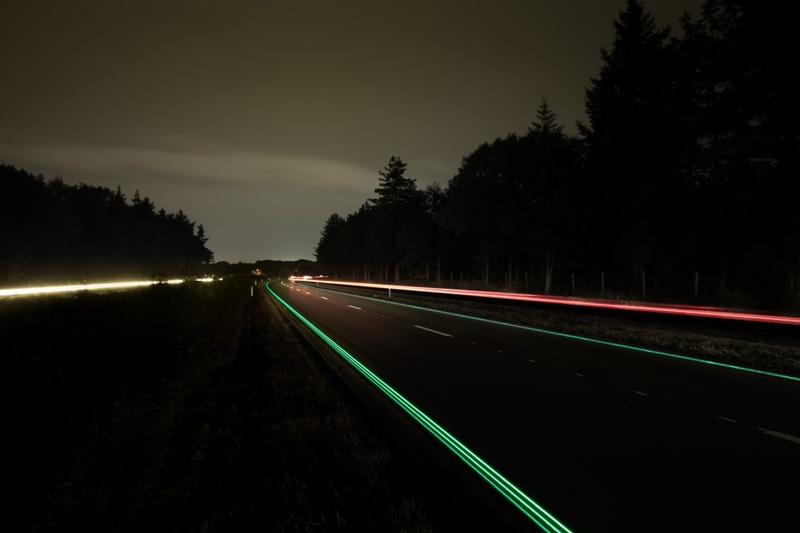 Roosegaarde has collaborated with developer Heijmans to create and install the Smart Highway concept, which is described as “the intelligent and interactive road of the future”. 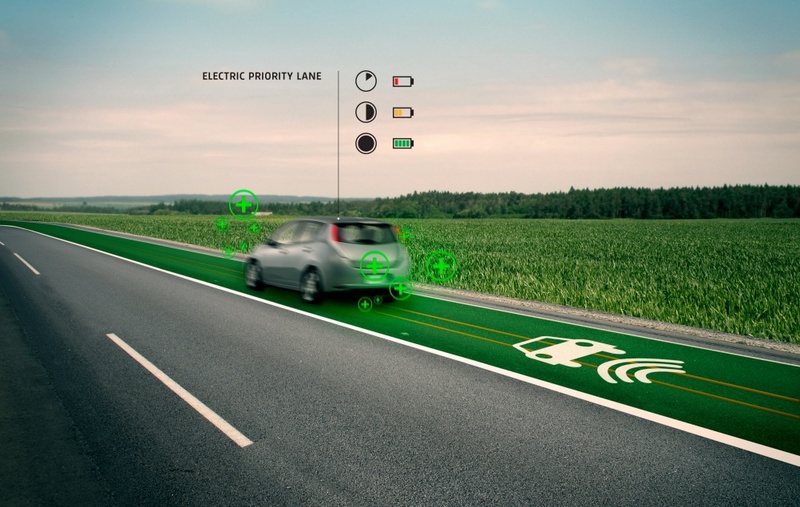 The Smart Highways concept features a number of design interventions that aim to help drivers. This includes an Electric Priority Line, which features induction charging which can power electric cars while they are driving. 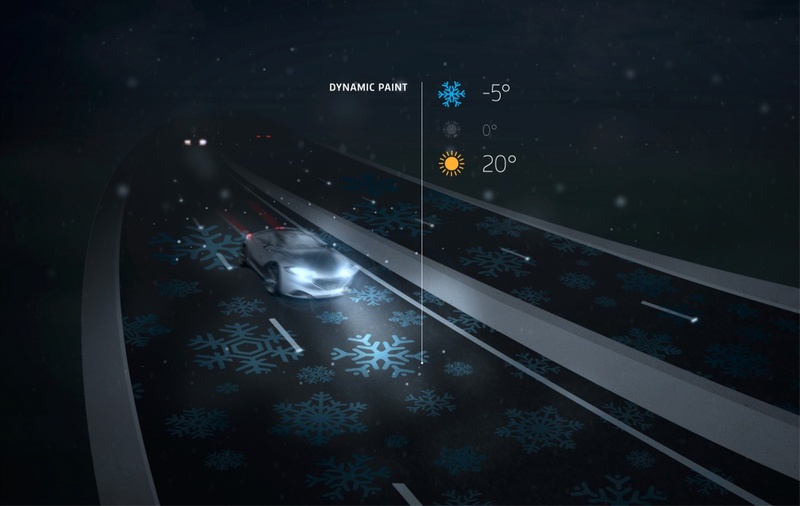 Other innovations include Glowing lines, which absorb energy during the day and glow in the dark, and Dynamic Paint – temperature controlled marking that lights up to warn road users that the surface could be icy. The Glowing Lines concept has already been installed as part of the N329 Road of the Future project in Oss, The Netherlands. At the end of last year the Van Gogh-Rosegaarde bicycle path opened in Eindhoven – the cycle path uses the Glowing Lines technology to create a night-time light display inspired by Van Gogh’s painting the Starry Night. The UK’s foray into electric highways comes as the Government has pledged £11 billion towards design-led road improvements over the next five years. The first stage of this has seen Highways England pull together a panel, which includes the Design Council, the National Trust and the Royal Institute of British Architects, which will aim to integrate design thinking into all road improvement schemes. Transport minister John Hayes says the aim is to make new roads “beautiful” and “award-winning” rather than “brutal, crass and ugly”. Hayes says : “It is perhaps ironic that we care so much about car design. About the sleek lines gracing our sports saloons. About the leather trimmed interiors, and the burr walnut dashboards … when the scene outside the car is often so ugly. We can’t even fill in our potholes.